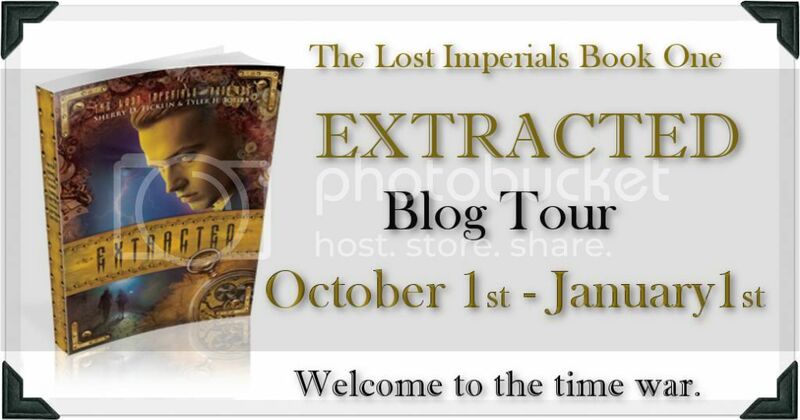 Welcome to The Cover Contessa's stop on the Extracted blog tour! I am super excited to be taking part in this tour, since this book was my all time favorite read of this year so far! Welcome to the war. The Tesla Institute is a premier academy that trains young time travelers called Rifters. Created by Nicola Tesla, the Institute seeks special individuals who can help preserve the time stream against those who try to alter it. The Hollows is a rogue band of Rifters who tear through time with little care for the consequences. Armed with their own group of lost teens--their only desire to find Tesla and put an end to his corruption of the time stream. Torn between them are Lex and Ember, two Rifters with no memories of their life before joining the time war. 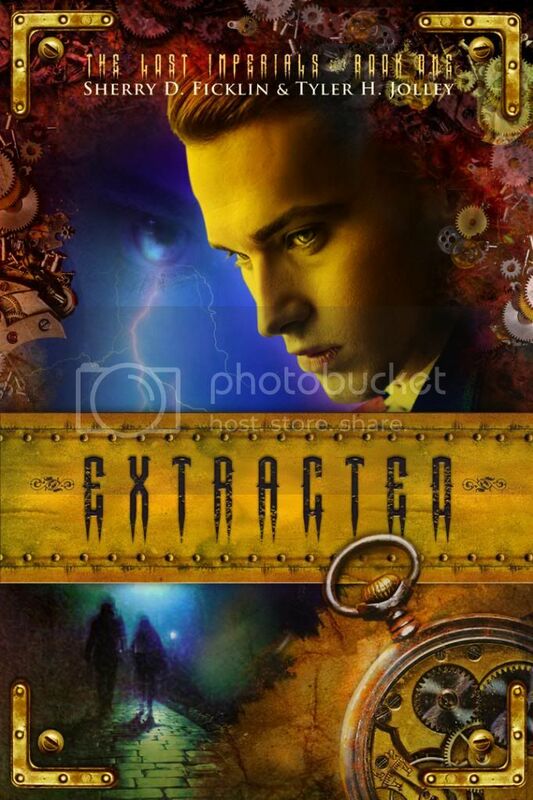 When Lex's girlfriend dies during a mission, the only way he can save her is to retrieve the Dox, a piece of tech which allows Rifters to re-enter their own timeline without collapsing the time stream. But the Dox is hidden deep within the Telsa Institute, which means Lex must go into the enemy camp. It's there he meets Ember, and the past that was stolen from them both comes flooding back. Now armed with the truth of who they are, Lex and Ember must work together to save the future before the battle for time destroys them both again. Today, I am lucky to have Sherry and Tyler here for a guest post! I am super excited for you to see what they have to say! I wanted to know what the 10 geekiest things they owned are! So here is what they told me! 2) My stuffed otter Benedict Otter. 3) My replica dive helmet. 4) My USS Enterprise solid silver pizza cutter. 5) My rubber duck collection. 8) My plush Yoda purse. 9) My replica Hobbit Sword. 10) My Storm Trooper paper snowflake. 4. Many notebooks that are unwritten in. I think I have a hoarding problem when it comes to cute little notebooks. 7. Last Wear steeplejacks. Which Is like a man corset. 9. The complete set of palladium RPG manuals. Honestly, I don't think some of those are all that geeky! LOL! But perhaps that means that I am just a geek at heart, right? Well, I did attend NYCC this year, where I got to hang out with both Sherry and Tyler, so there you go! Thanks so much for stopping by Sherry and Tyler! It was so great to have you here! Now, do you want to know what I thought of this FANTASTIC book? Read my spoiler free review below! Thank you so much for your review and post, Brooke! We are so excited to share this journey with you. And, totally laughed out loud at "man corset." <-- awesome. I absolutely am in love with the cover on this book! I can't wait to read it! First, Sherry and Tyler, you two sound just like my two kids who LOVE Dr. Who, Cosplay, anime, gaming, collecting dice, and notebooks all over the house, lol. Second, I love the cover! And lastly, the book sounds phenomenal:) I'm a geek girl and it's right up my alley. It's definitely going on my TBR shelf!